If you are a frustrated father seeking equal treatment in child custody matters during your divorce or custody proceedings or need to renegotiate legal or physical custody of your child(ren), choose a skilled father’s rights lawyer to ensure that you will receive fair and unbiased treatment. 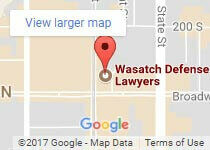 Contact Wasatch Defense Attorneys today for your FREE, no-obligation child custody consultation or give us a call at 801-845-3509. Utah law mandates that a child’s mother and father be treated equally in all child custody matters. While these laws are meant to protect a father’s rights, most individuals still have the impression that the courts tend to offer partiality for the mother’s rights over those of the father. If you are a father seeking child custody, fair child support or to enforce your visitation rights you need an aggressive father’s rights lawyer in Salt Lake City and surrounding areas to stand up for your legal rights and ensure you receive a fair and impartial outcome. The family law experts at Wasatch Defense Attorneys understand that there are many loving and caring fathers in the Beehive State that are fighting a seemingly uphill battle for equality for their parental rights. From custody and child support issues to false abuse accusations and protecting your assets, we will stand by you to ensure your legal rights, as a father, are upheld. 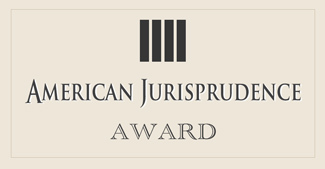 We will ensure your interests and the best interest of your children are fairly represented. We will work to initiate joint custodial parenting plans for shared custody or prepare your best strategy to win full custody of your children. Negotiating Shared Child Custody: Joint or shared legal custody gives both parents the right and responsibility to make important decisions in their children’s lives like religion, health care, education, sports or extracurricular participation, child care, and travel. Shared or joint physical custody means the children spend an equal amount of time living between both parents. Win Custody of Your Children: For a father in the state of Utah, seeking full custody can be difficult, especially if the mother is also seeking full custody. You will need a father’s rights attorney to advocate for your ability to care for your children full time and be prepared to explain why the children’s mother will not serve their best interests in the same capacity. It is imperative that you choose an experienced father’s rights lawyer to protect your parental rights. Wasatch Defense Lawyers will help you prepare a comprehensive and reasonable parenting plan that is consistent with the needs of your children in child custody matters, or prepare the best possible legal defense strategy in cases of false abuse allegations or parental alienation. Our compassionate father’s rights attorneys believe that all fathers deserve a fair trial and will advocate for you to safeguard your rights to stay in contact with your children and for a fair and unbiased trial. 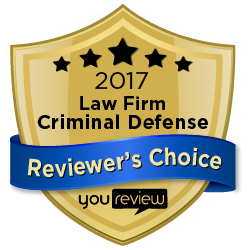 Call us today for a free, no-obligation case review at 801-845-3509.